This is a collection of images, words, videos and podcasts curated by Tiffany Sankary exploring the intersection of movement, creativity and human potential. Free Feldenkrais ATM Lessons all in one place! In this Awareness Through Movement® lesson we explore unwinding what Moshe Feldenkrais called the “Body Pattern of Anxiety”. It is a beginner friendly lesson and a great one to come back to again and again. How lifting the head prepares infants for sitting, crawling, and standing. In this free Feldenkrais audio download we learn to be comfortable on the belly while orienting the head and eyes to the horizon. Mary Oliver’s recent passing has inspired revisiting some of my favorite poems and along the way, I discovered some new ones that are so perfect for where I’m at at this part of my journey. I’m grateful Mary’s devotion to the poetry of attention and intimacy with ourselves and the world. Here's a short video of Matty Wilkinson working with a child in his Feldenkrais practice and talking about curiosity, novelty and acceptance in learning. What Supports Your to Move Your Vision? It was quite a journey this last month. I created something bigger than I expected: Move Your Vision 2018 was a grand experiment that involved over 900 human beings! What supports you to move your vision, to evolve, grow and mature? What helps you connect the dots between your physical self & your thoughts/ feelings/ ideas/ creative impulses? We will continue to explore these questions this year in Movement & Creativity Library. I am seeing that Organic Intelligence is the place I want to begin working with new clients. Then the Feldenkrais Functional Integration comes naturally when the time is right. This has been particularly effective for people who feel stuck, blocked creatively or who are wanting to be more in their bodies but find they spend a lot of time in their heads. The work is also helpful for moving beyond stress/ anxiety/ trauma---and the beautiful thing is, the focus is not on the trauma, or the what's-wrong-attention. Moshe Feldenkrais said, “Treat the person, not the body.” I feel like I am finally understanding the depth of what that means. “Most people will agree that the body and the mind are two aspects of the same thing, or two poles of the same entity, but they still cannot appreciate that there is no mind without environment…”-Moshe Feldenkrais. Chapter 17 from Feldenkrais Illustrated: The Art of Learning. This short video is about the process of making one image. Collage, drawing, photo, papercut, color, stars, play---all led up to the final version. This image was commissioned by the Feldenkrais Guild of North America for the 2018 Feldenkrais Method® Conference. I added "and bodies" in the quote above because that is my experience. In the Feldenkrais Method, paradox is a generative tool for learning, the proverbial door that opens when another shuts. Perhaps inspired by his Hasidic childhood, with its culture of questioning rather than answering, Feldenkrais saw paradox as a way to give the nervous system the opportunity to improvise new habits by noticing and questioning old ones. This context begins to bring us to appreciate the brilliance of Moshe’s work. When one’s attentional pathway is continually being fostered through the limbic system—in the continual maintenance of the sense of safety and the sense of self, one is not going to give up behaviors unless there’s something better in place. Moshe Feldenkrais wrote a beautiful manual to accompany Awareness Through Movement® lessons called Learn to Learn which illustrates the philosophy of the Feldenkrais process. If you live in Massachusetts, please take a few minutes out of your day to call/email your rep to ask that they oppose or amend SB 2621 "An Act to regulate bodywork therapy" (formerly 2599), which would impact virtually all holistic modalities (their practitioners and their recipients) in Massachusetts. The little things, big things, stolen moments, mess, serendipity, inspiration, education, devotion, mistakes, misspellings, struggle, dust, dream---all of it. When you stay in the process, with the practice, in whatever imaginable and unimaginable ways, all the little drops add up. If you are a human being, you have a deep natural wellspring of creativity that is your greatest resource for vitality. The Feldenkrais Method is most fundamentally about rediscovering your inherent creativity and learning to apply and embody it in each moment. Your creativity is your most potent tool for diminishing your aches and pains! Here is a lecture from 2013 by David Zemach-Berson where he introduces the idea of the Weber Fechner Law. "Do a little less than your utmost while learning... continuing to do a little less than your utmost, you go on improving.... The wisdom of doing a little less than one really can pushes the record of achievement further and further as you come nearer to it, similar to the horizon that recedes on approaching it." This is Chapter 20 from Feldenkrais Illustrated: The Art of Learning, excerpts from the writings of Moshe Feldenkrais, edited and illustrated by Tiffany Sankary. "...we have to learn to listen and think and feel and feel the length of our body and the width of the body and feel the movement and the voice and the thinking that we do and yet move your eyes." 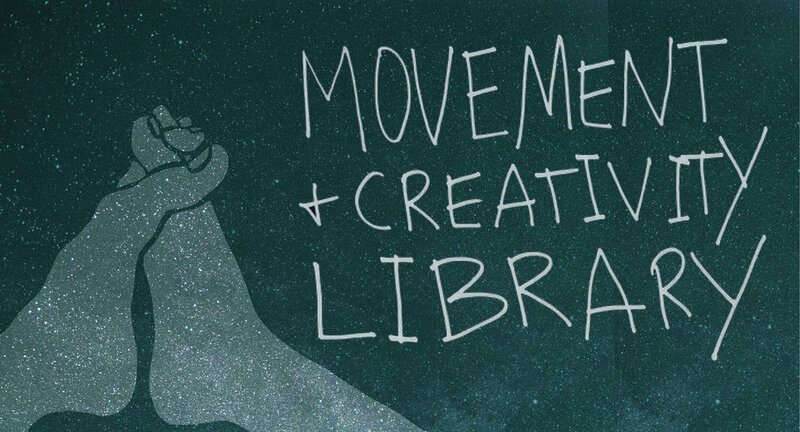 I am in the process of making Movement and Creativity Library, an online library of 100+ Feldenkrais Awareness Through Movement lessons and resources to help you reduce pain and awaken creativity. This first episode of Feldenkrais Podcast is a talk with Jeff Haller on Moshe Feldenkrais teaching in Amherst, MA 1980-81 and Jeff's perspective on the Feldenkrais Method's potential to contribute to emotional well being. The people who are coming to me via the NY Times article are intelligent, curious, fascinating people--therapists, professors, lawyers, artists, writers---open and eager to learn. It has been an honor to work with them. PAIN is the reason they all came to the method and they are finding that the same process which helps reduce their pain also supports overall well being, and for many, more vibrant creativity. It is a paradigm shift from our pain-no-gain culture. In one lesson on the difference between exercises and learning he says, "If you go through these exercises in order to gain something," which is just like the zen in where if you think you're meditating to gain something, it's not meditation, 'if you're going through these processes to gain an outcome, then the outcome will be gone within five minutes after you leave the class.